Romelu Lukaku scored twice as Belgium got their Euro 2016 campaign back on track with a comfortable 3-0 victory over the Republic of Ireland in Bordeaux. The Everton striker came in for criticism for his performance in his side's opening defeat to Italy, but after stout defence from Martin O'Neill's side in the first half he made the breakthrough Belgium three minutes into the second half. Marc Wilmots' side doubled their advantage in the 61st minute thanks to Axel Witsel's powerful header before Lukaku rounded off a fast counter-attack nine minutes later in clinical style to seal all three points. Defeat leaves Republic of Ireland needing a victory in their final game against Italy, who have already qualified as Group E winners, on Wednesday to have any chance of qualifying for the last 16. Meanwhile, Belgium need just a point to book their place in the next round when they take on Sweden on the same day in Nice. Republic of Ireland were forced into one change from the side that drew 1-1 with Sweden with Stephen Ward replacing the injured Jon Walters. Belgium, who were languishing at the bottom of Group E before kick-off following their opening defeat to Italy, made three changes with Laurent Ciman, Marouane Fellaini and Radja Nainggolan replaced by Thomas Meunier, Mousa Dembele and Yannick Carrasco. Out of sorts duo Lukaku and Kevin De Bruyne kept their places in Marc Wilmots' starting line-up and it proved to be the right decision with the Manchester City forward back to his best in the early stages. De Bruyne was involved at every opportunity and his delivery from wide positions was causing Martin O'Neill's side plenty of problems. The City star then fired an inviting free-kick beyond everyone before playing a part in setting up the chance of the half for Eden Hazard. De Bruyne's cross could only be headed as far as the edge of the penalty area by John O'Shea. The ball fell to Hazard, but the Chelsea forward did not take advantage, firing a shot over the crossbar. Up until then, Republic of Ireland's defence had looked relatively untroubled but in attack they could not make their mark on the game. However, in the 25th minute O'Neill's men finally had a chance to break the deadlock as Wes Hoolahan picked up a loose ball midway into the Belgium half. The Norwich midfielder held onto the ball before trying to release Jeff Hendrick in on goal but Alderweireld had time to make a crucial tackle right on the edge of the penalty area. Belgium finally had the ball in the back of the net when Yannick Carrasco headed the ball home after Darren Randolph tipped his initial volley onto the bar. However, Ireland were handed a reprieve with the flag going up for offside. Minutes after the restart Ireland thought they should have had a penalty for a high boot from Alderweireld on Shane Long, but referee Cuneyt Cakir waved play on. Seconds later Belgium broke the deadlock, breaking quickly with Lukaku picking out De Bruyne wide on the right flank. The Manchester City forward then returned the favour for Lukaku, who took a touch before curling the ball beyond Randolph and into the bottom-left corner from 20 yards. Belgium suffered a slight setback as they lost Dembele to injury but it did not seem to affect them to much as they doubled their lead just after the hour mark. Meunier crossed first-tiem from the right for Witsel, who lost James McCarthy with a late run into the box to head home from point-blank range. Ireland were demoralised and Belgium took full control, hitting O'Neill's side on the counter-attack at every opportunity. Again Meunier was involved, robbing substitute James McClean near his own corner flag before releasing Hazard. The Chelsea star raced away before drawing the lone Irish defender and squaring for Lukaku, who had an easy finish to wrap up the victory. Robbie Keane replaced Long with 11 minutes remaining as Ireland looked for some consolation, but it wasn't to be for O'Neill's men. Randolph was forced into action again in the 83rd-minute to deny De Bruyne before substitutes Dries Mertens and Christian Benteke nearly combined for a fourth as Belgium closed out a comfortable victory. 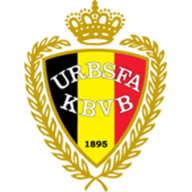 Belgium: Courtois, Meunier, Alderweireld, Vermaelen, Vertonghen, Witsel, Dembele (Nainggolan, 57), De Bruyne, Hazard, Carrasco (Mertens, 64), Lukaku (Benteke, 82). 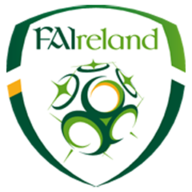 Republic of Ireland: Randolph, Coleman, Clark, O'Shea, Brady, Whelan, McCarthy (McClean, 62), Hendrick, Ward, Hoolahan (McGeady, 71), Long (Keane, 79). В интеренете нашел важный web-сайт про направление https://citroen.niko.ua.